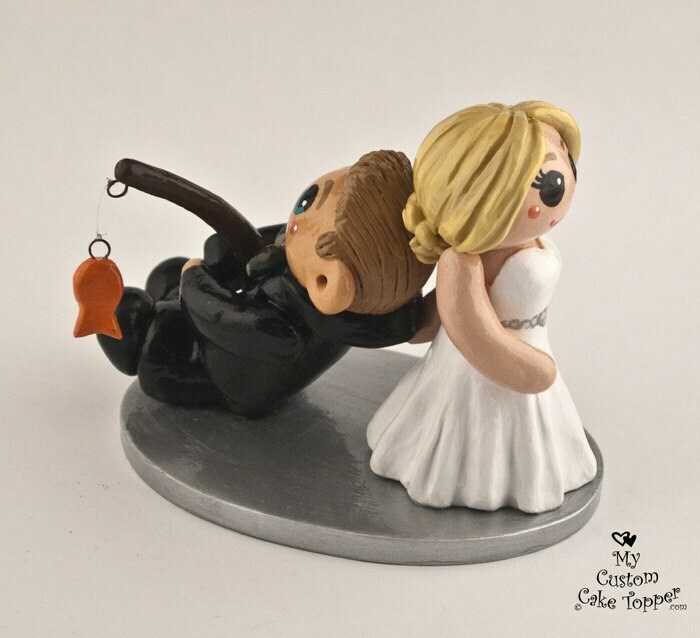 Bride and Groom Fishing Wedding Cake Topper, bride dragging her fishing loving groom. 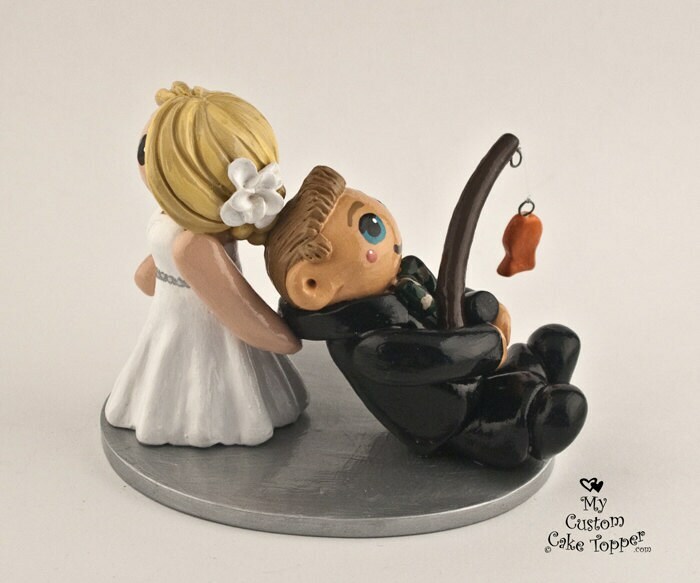 These little cuties will reflect the bride and groom in an adorable manner. They're not only cute, they are affordable and fun! These are examples of previous toppers I have made. 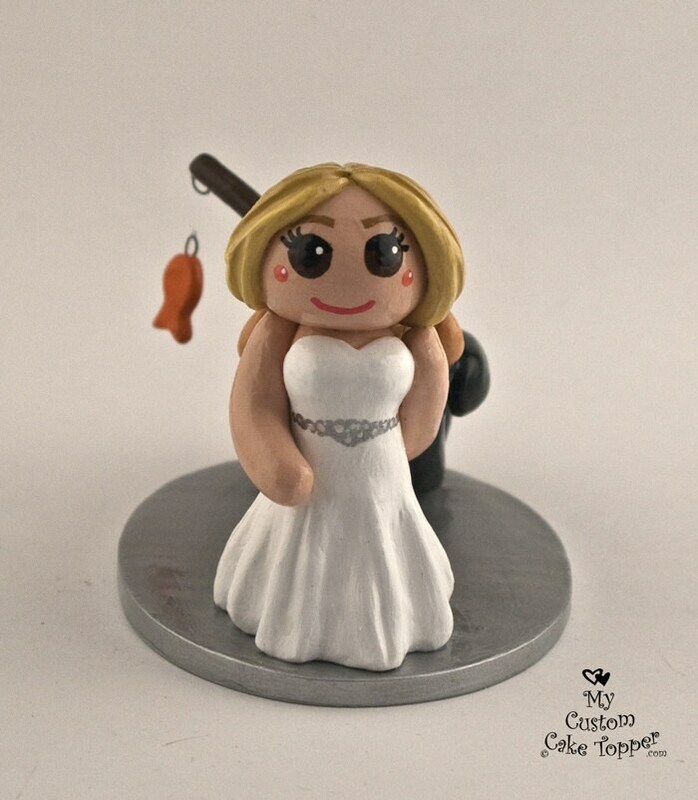 I can make your topper look like you on your special day! I can put them into different poses or doing the things you like to do. They will fit your description for dress, attire, hair color, hair style, eye color, etc. 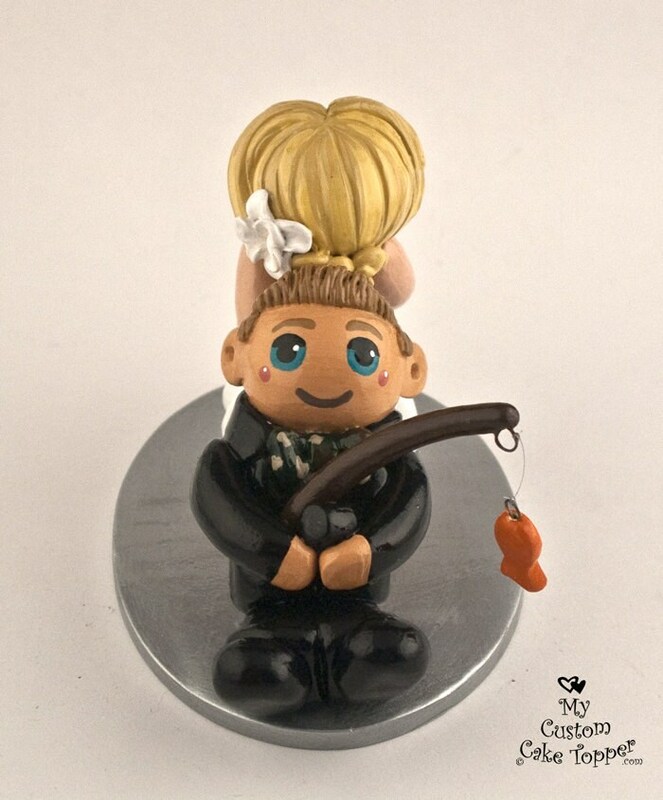 All of my works are handmade from polymer clay and hand painted, they are non-toxic and can last a lifetime if taken care of properly, a perfect keepsake from your special day. Each bride and groom is approx. 2.5" - 3" tall.